Minions! I love them! 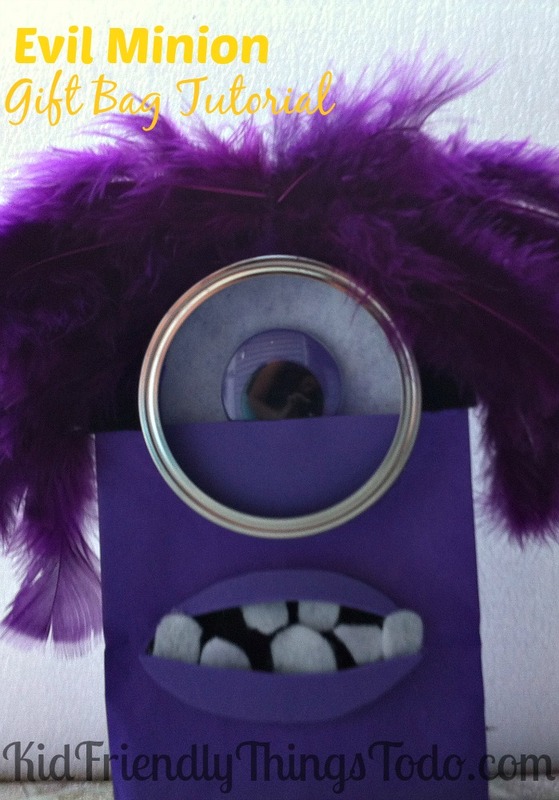 Whether they are the cute little yellow minions, or the funny purple evil minions, they are all hysterical to me! 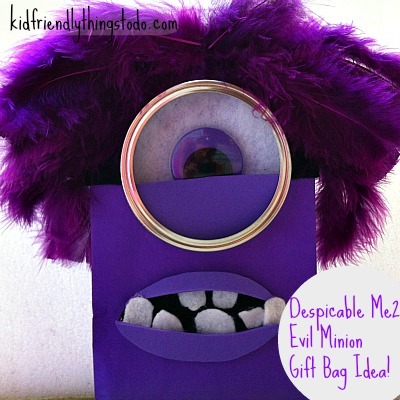 Despicable Me was a wonderful family movie, and Despicable Me 2 did not disappoint! 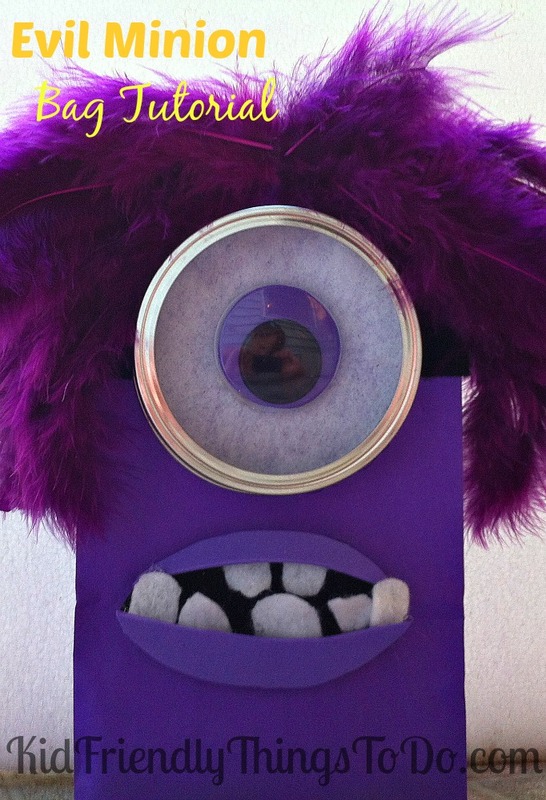 Insert the purple foam – where the white backing used to be – Now, you have a purple eye! 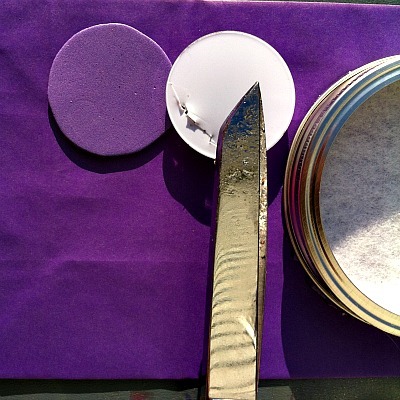 Glue that onto the center of the white felt circle and place the mason lid around all of it! 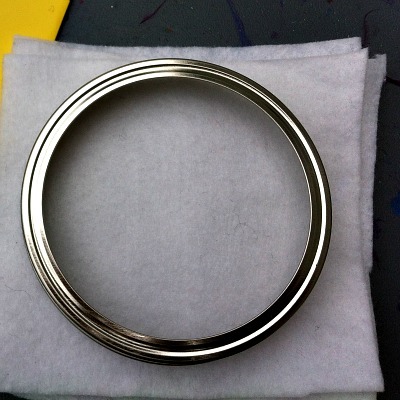 Glue to secure! Done with the eye and goggle! **You can really change his look with the shapes of the mouth. 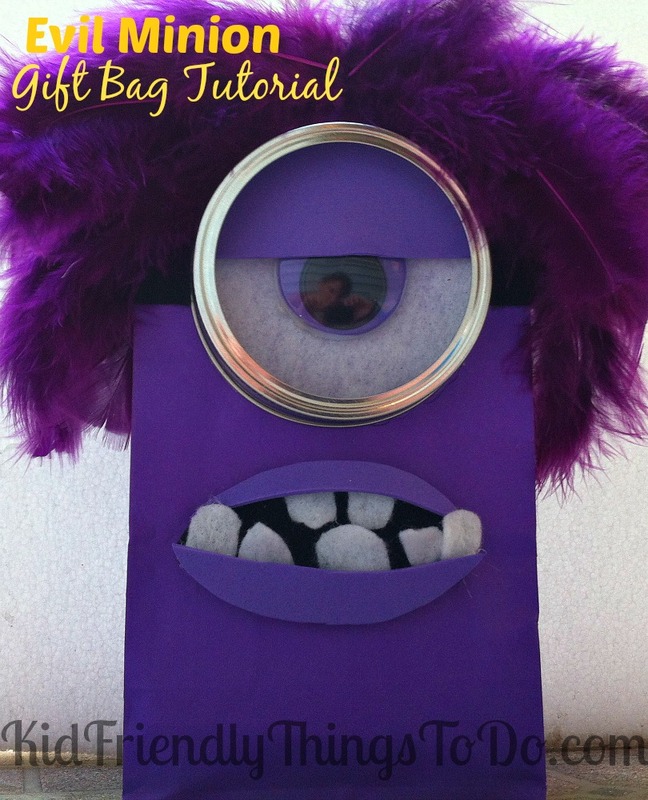 Make several different oblong shapes to transform the bags into several Minions! Some vertically longer to make him – Yell!, Some, skinny and oblong with only the bottom teeth showing!, Some, you can use a black sharpie to just draw a silly smile! 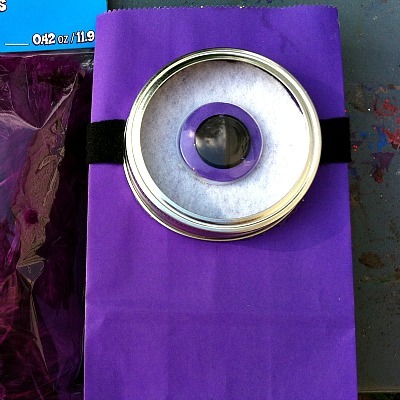 You can change the look of the Minion by adding a purple half-circle to the inside of the eyeball. 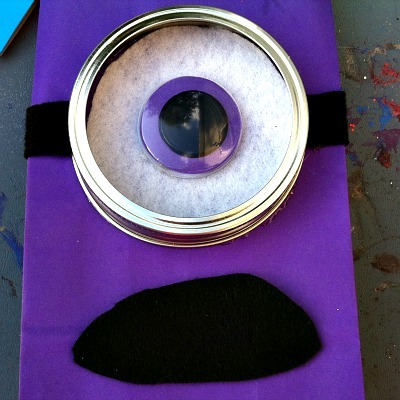 Check out the pictures below (and above) to see some different ways to make different Minions! 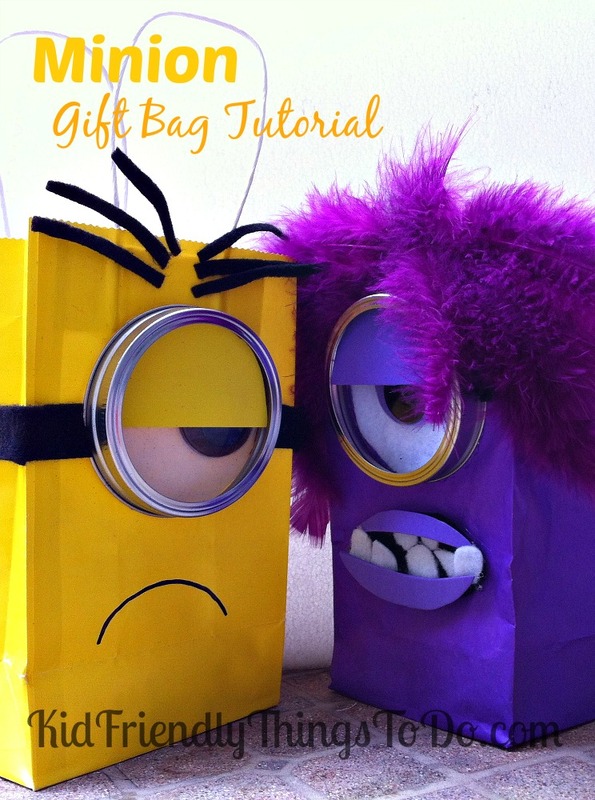 If you want to add the Yellow Minions to your party, here’s my tutorial on those! 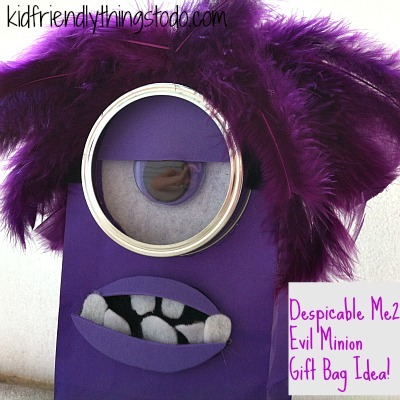 Melissa – KidFriendlyThingsToDo.com – party ideas, fun foods, crafts, recipes, and fun things to do with the whole family! 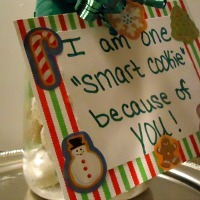 I just love this idea and they turned out so cute!! 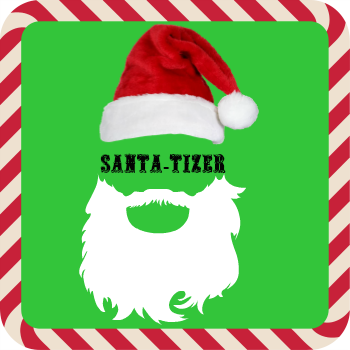 I featured them over at my blog tonight, hope you stop by to check them out! 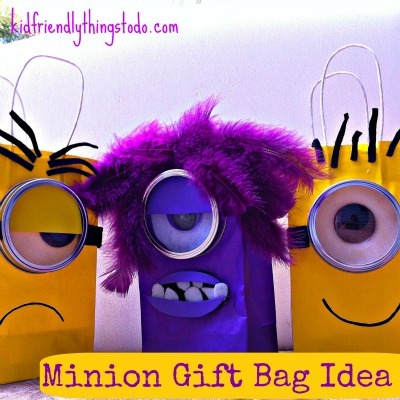 IM GOING TO MAKE IT FOR MY BIRTHDAY PARTY MY THEME IS MINIONS . IT IS FUN !!!!!!!!!!!!!! [WORDPRESS HASHCASH] The poster sent us ‘1815767609 which is not a hashcash value. I am so glad! I would love to see pictures!